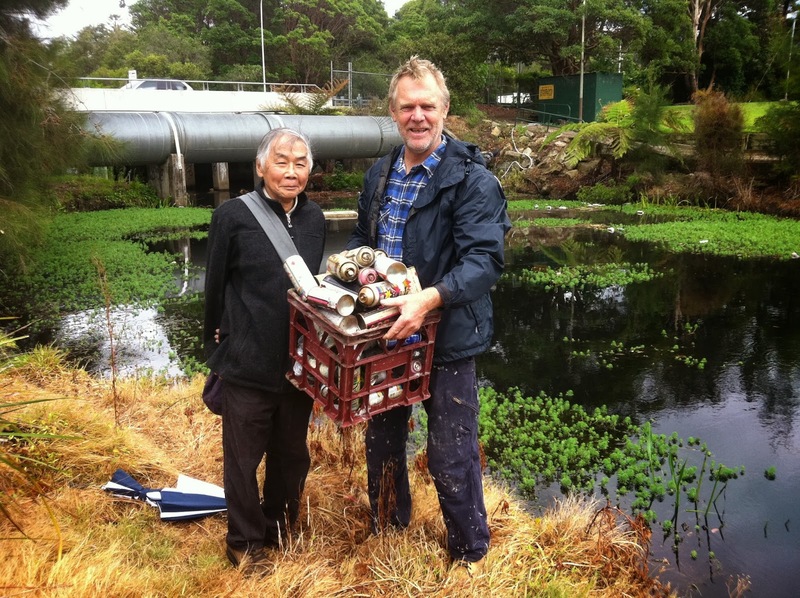 Spruiking native plant and wildlife conservation in Sydney's deep north. Manly Creek is a small waterway on Sydney’s Northern Beaches. It was traversed and explored by Captain Arthur Phillip in 1788 but was obviously significant to the indigenous community for many thousands of years prior. 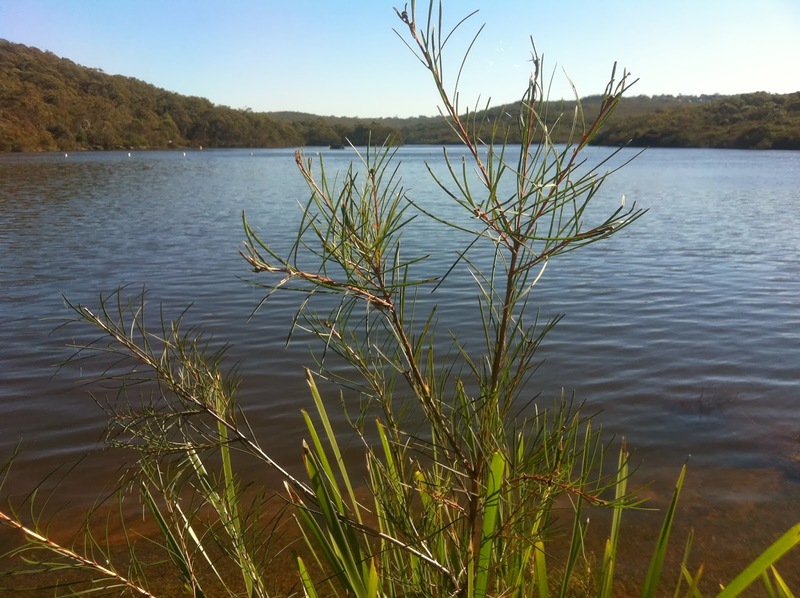 At one end of Manly Creek you’ll find the beautiful bush-lined Manly Reservoir (the very last body of freshwater in Sydney where the water is still clean enough to swim). At the other end, adjacent to the glorious surfing beach at Queenscliff, is Manly Lagoon, renowned for being the most polluted lagoon on the eastern seaboard of Australia. 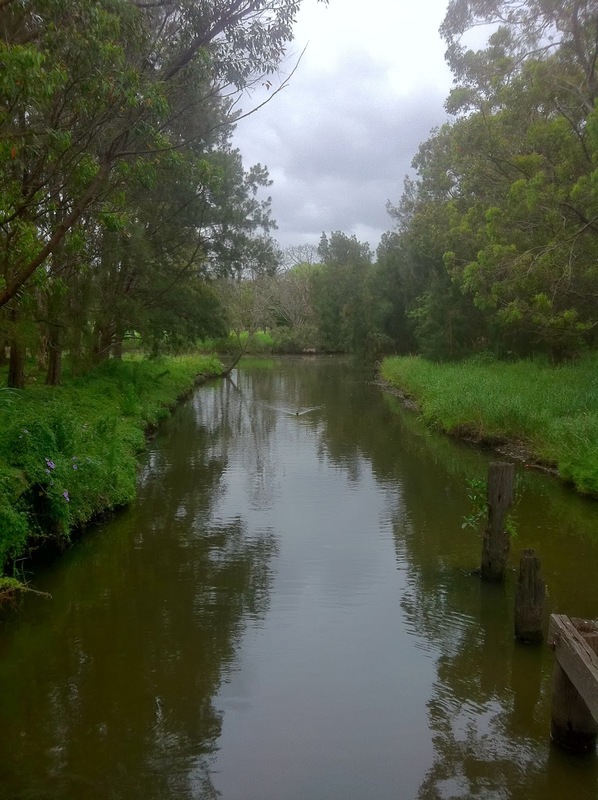 So let’s take a quick journey along this 3 kilometer stretch of creek and do it with a mission...to save the pockets of important remnant bushland, connect them into a wildlife corridor and try to ensure that the waterway itself is conserved as an important sanctuary for native fish and waterbirds. 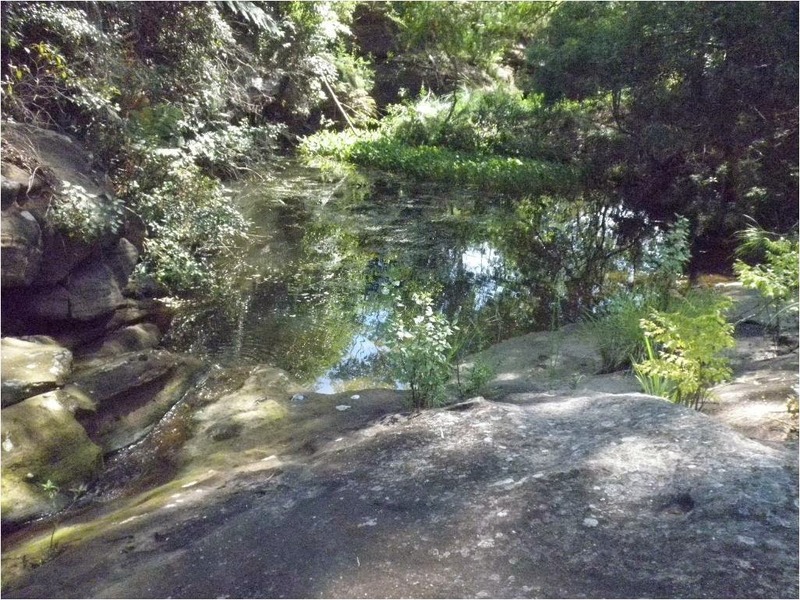 The creek itself was rudely interrupted in 1892 when a concrete dam was built across it to ensure that the settlement of Manly had a reliable source of water. These days the waterway relies on leaks in the structure (or scheduled releases from the dam) for its sporadic flow. 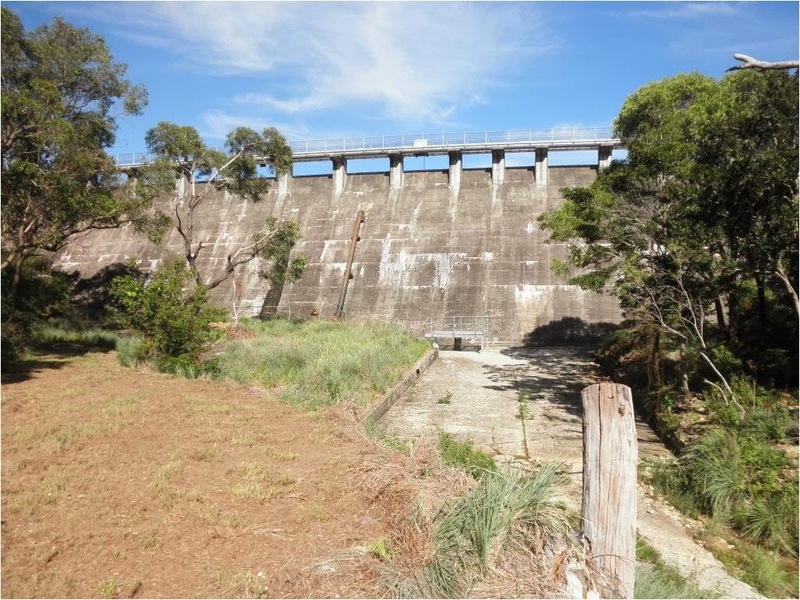 Immediately abutting the heritage listed dam is a small section of land owned by Sydney Water . 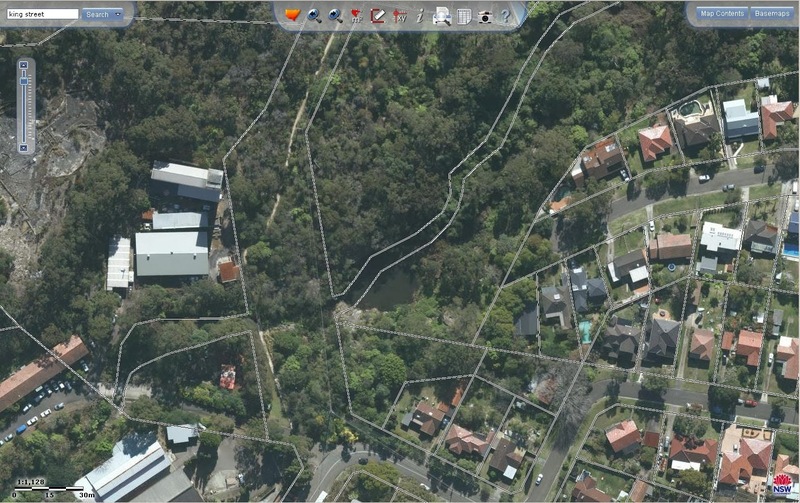 The creek then flows through the facilities of Manly Hydraulics Lab and the UNSW Water Research Lab. Because this area is fenced off and fairly secluded, the areas of native vegetation are of good quality (swamp wallabies, bandicoots and goannas have been spotted here!). 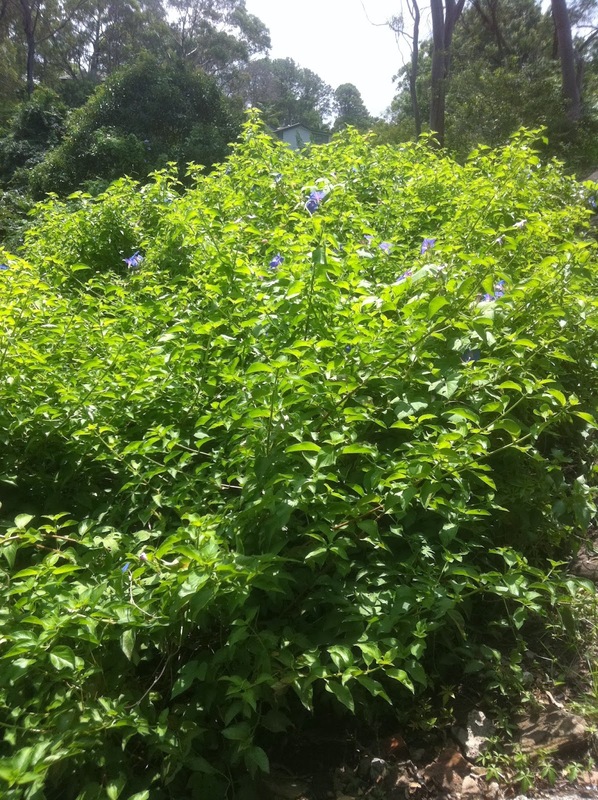 Some work has also been conducted to tackle the problem of invasive weeds which are the scourge of remnant bushland. ... and the larger “Mermaid Pool” and waterfall is just downstream from here. 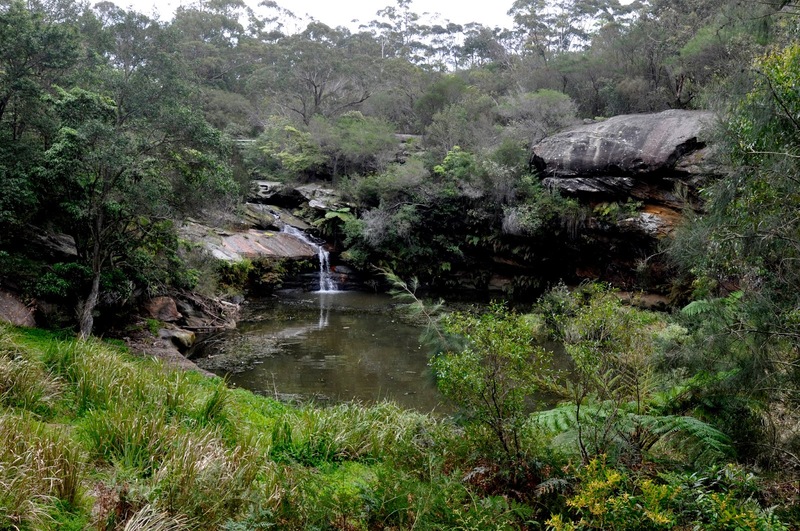 The larger (and more famous) of the "Mermaid Pools"
Mermaid Pool falls within the far western boundary of Warringah's District Park which is currently being assessed for a new Plan Of Management. District Park encompasses a number of playing fields and a golf course as well as this section of creek line. Submissions to a discussion paper were canvassed and received but unfortunately the "vision" to include unreserved areas of crown land in the District Park precinct have so far not registered. Submissions are now being received for a "Draft Plan of Management District Park Draft Plan of Management. (comments close 14th July 2015). Unfortunately the District park boundaries tend to hug the creek-line fairly closely in this section (especially on the northern side) leaving much of the remnant bushland outside the boundaries. This leaves various parcels of crown land very vulnerable. It would be great if these parcels could be transferred to District Park classification. The specific parcels in question, near Mermaid Pool that are zoned R2 -(residential) include portions of Lots 7369 & 7370 DP 1165551 and 7371 DP 116557 ). This anomaly apparently happened during the "translation process from LEP 2000 to LEP 2011". One of the volunteers working to restore this special place. 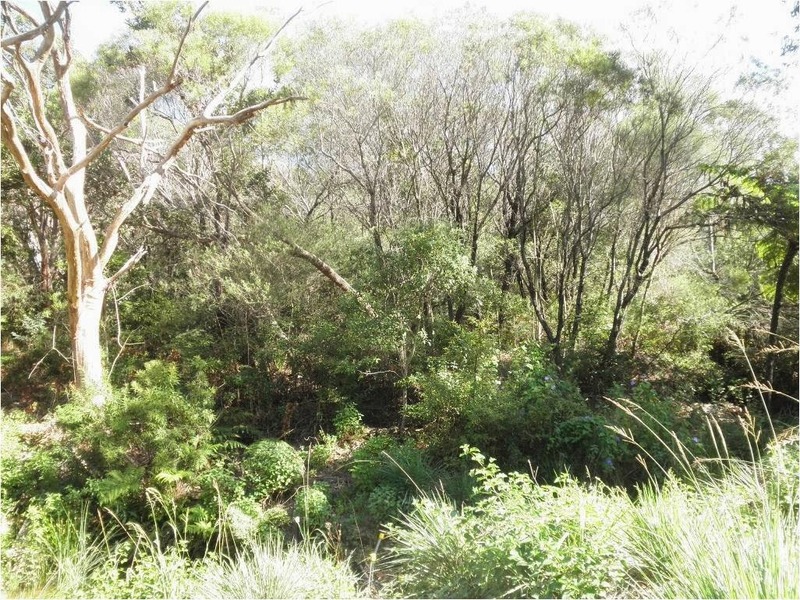 This area of bushland has the highest biodiversity value of all the creeks leading into Manly Lagoon. The Department of Lands has already indicated in the past that they would be happy to transfer this land to Council jurisdiction without charge. This would help secure this unique riparian zone and protect a wonderful (but often unheralded) feature of District Park. Conserving the upper catchment, of course, is also the best way of ensuring the environmental health of Manly Lagoon (so long under scrutiny). As the creek leaves Mermaid Pool on its journey towards the ocean it passes a magnificent stand of ancient rainforest before invasive weeds close in. One particular nemesis is the noxious Ludwigia Peruviana (yes it was introduced from Peru) which has the capacity to block the flow of the water. from under Condamine St bridge. 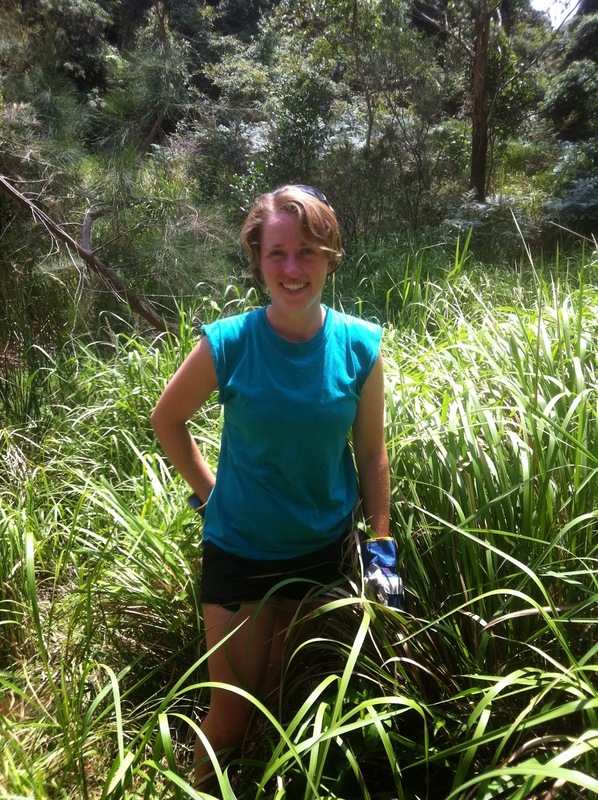 “Warringah Council Local Habitat Plan, Habitat Restoration Plan, Manly Creek Corridor”. 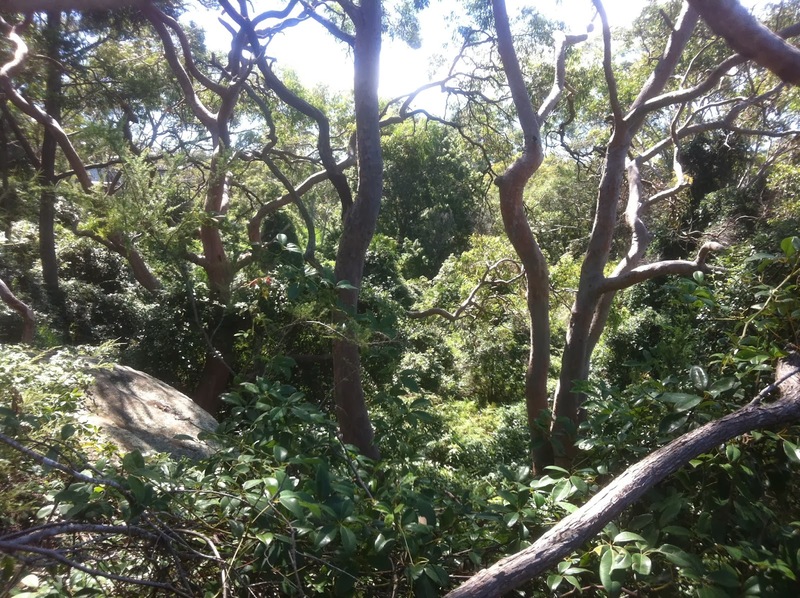 This document details plans to preserve, restore and expand the pockets of bushland that still survive along Manly Creek as well as other ways to improve and protect this important community amenity. All we need now is for them to implement it ! Further down the creek, volunteer, Tom Hazell and his team have done an amazing job in planting indigenous vegetation along the waterway between Nolans and Passmore Reserve. This is Manly's hidden Venice but in a glorious native plant and parkland setting. Heading towards Manly Lagoon and the beach ! Please support community efforts to conserve, protect and improve this important part of our natural heritage. The NSW Government is currently seeking ways to transfer parcels of crown land to council jurisdiction SMH article (28.3.14). How To Revive A Mermaid. This War Memorial Park Is Under Siege. Beautiful Sydney has such an ugly secret. 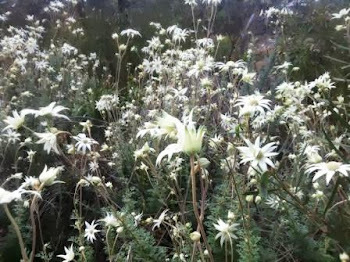 This blog is all about discovering nature on Sydney's Northern Beaches..and working to conserve it. Let me know what you think! 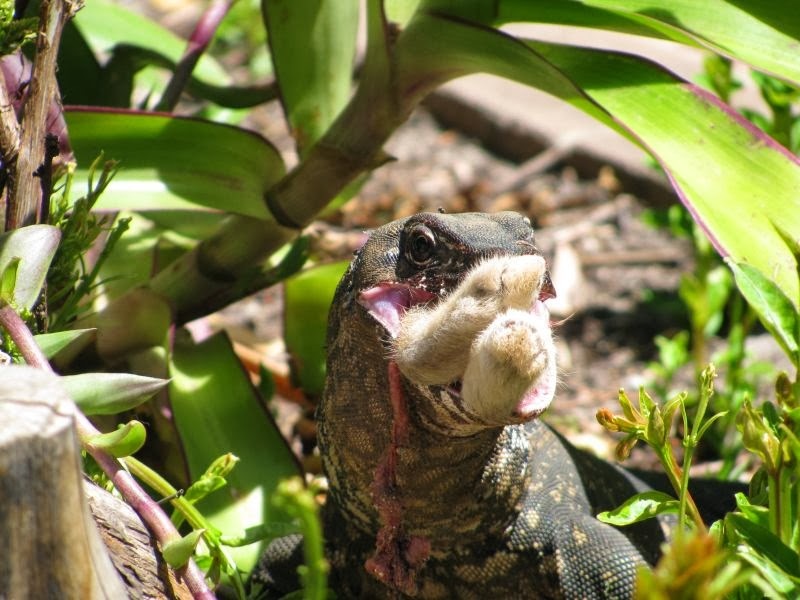 I'm a writer and conservationist, based near the gnarly remnants of Sydney's bushland. Some would also say I have an almost unnatural affection for possums. malcolm fisher. Awesome Inc. theme. Powered by Blogger.